Babies sharing a bed with their parents, or cosleeping, as it is sometimes called, can be a very controversial topic. Various agencies and organisations have taken stands for or against cosleeping, but essentially the decision is up to the parents. To make the best decision for your child, you should be knowledgeable about both the pros and the cons. You then can make an informed decision as to what best works for you and your baby. 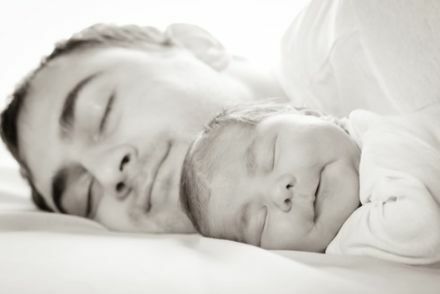 There are a number of factors in favour that make some parents decide in favour of cosleeping. Many proponents of breastfeeding believe that it is a sensible decision to make if you are nursing your child because it is more convenient. All you have to do is reach over and feed your child. Mother and child both stay comfortable and warm, and there is little disruption for either one. The sleep cycle for nursing mother and baby will be more in sync because there is no getting up, turning lights on, or fussing while making or waiting for a bottle, causing both baby and mom to be sleep deprived. Babies who share a bed with their parents get more sleep overall because they tend to wake up more often with shorter feedings, so they fall back to sleep quicker. It also has the added benefit of more closeness for parents who are away all day. Factors against cosleeping include the idea by some people that it raises the incidence of suffocation. People who oppose cosleeping believe it can cause a baby to become trapped between the mattress and headboard, baby can get caught in the bedcovers or pillows, or he can get trapped in part of the bed frame. Opponents also feel that a child cosleeping with his parents can be the cause of diminished sleep because of the baby’s movements or noises. Another detriment is that the child may have a hard time sleeping without a parent in the bed at other times like nap time or when the child goes to bed before the parents. Cosleeping can be safe if you follow a few guidelines. Always be sure your baby sleeps on her back. Make sure that your child’s head is always uncovered. Do not use a lot of blankets, heavy comforters, extra pillows or other soft items on the bed. Dress the child in a heavy sleeper and a light but warm blanket. Do not put a baby to sleep on a waterbed or a very soft mattress. Keep your bed away from hazards like cords from curtains or window blinds. Never ever go to bed impaired by alcohol, medications or drugs. They can make you so drowsy you may roll over your baby and never know it. Cosleeping is something that needs to be discussed and agreed on by both parents, and if you decide to do it, follow all of the safety guidelines outlined above to ensure that your child stays safe. 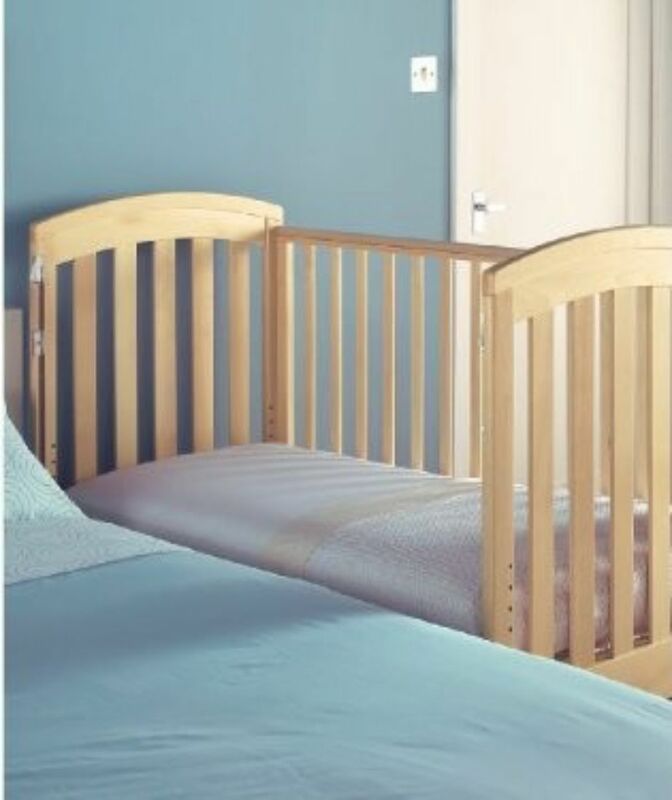 Another alternaitive, is to use a bedside cot or crib. We have mattresses for every size and model of bedside cots, including this particular one from Mothercare. Should you have any queries about a baby mattress, our dedicated customer service and sales team are here to respond to you.